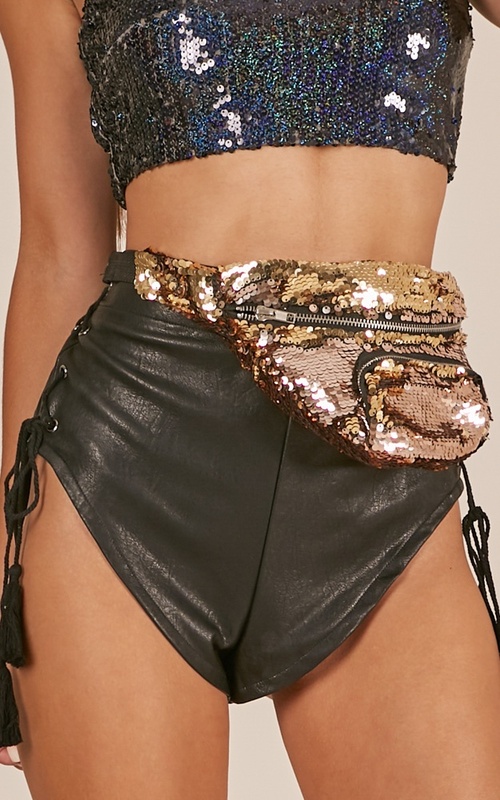 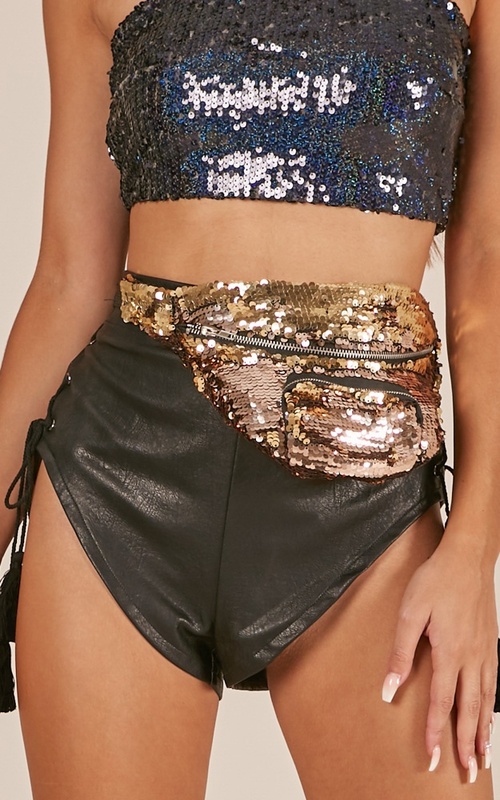 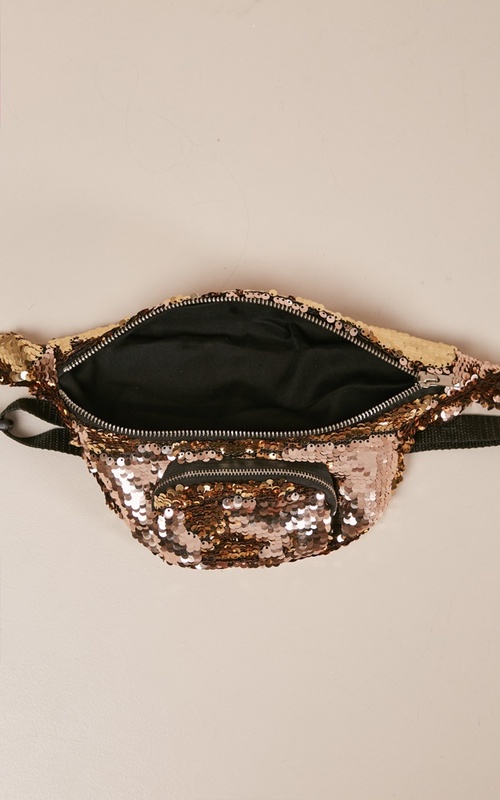 Up your festival game with this sparkly, out of this world bum bag! 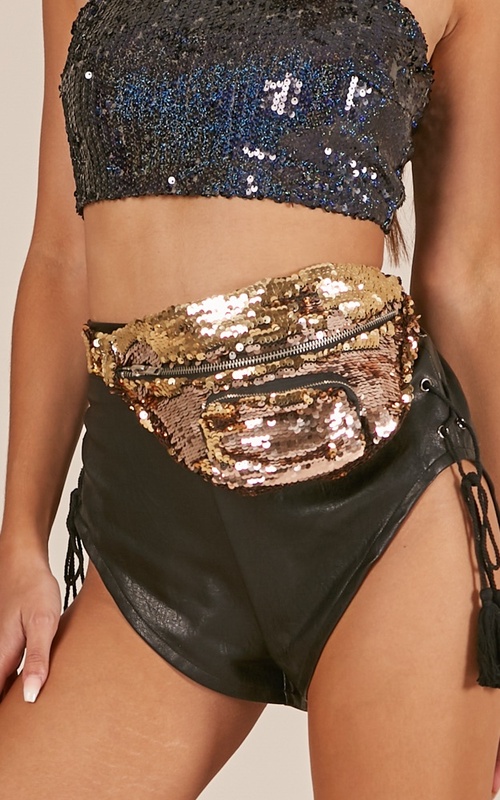 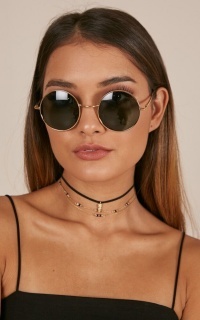 It's the ultimate accessory that will have all eyes on you at your next festival. 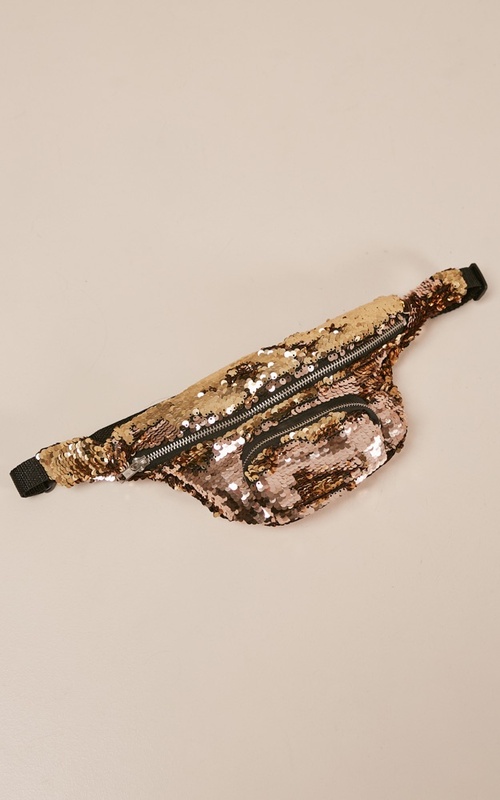 Featuring rose gold sequins throughout.